It is time for our most popular post of the year. What trends will have an impact on your event in 2016? Grab the free presentation and report and get up to speed. It is that time of the year. The time when you keep refreshing EventMB’s homepage to see if the new trends report is out. I’ll keep it very short because if you are a groupie, you know what this is all about. Yet many new readers have joined us over the past year, so let me give you a quick overview of why this report matters. Over the past 5 years, over 500,000 readers have watched our presentations. For the first time last year we launched a full report that was downloaded over 12,000 times. What really makes this report different from the dozens of attempts to predict the future? We do not attempt to predict the future. We leave that to fortune tellers and magicians. In fact I believe that the value of making predictions of the future of events is similar to sharing pictures with inspiring quotes on Facebook. We all like them but they don’t change anything. We try to research what we present. So far we’ve carried out the largest research on event technology ever done in the industry worldwide. Over 6,000 event professionals have responded to our questionnaires. Additionally, we run a year long research on our database of 1,200 event startups and specifically of the 150 startups that came to life in 2015. We focus on next year. 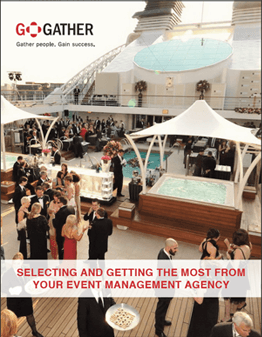 Why do most event professionals turn to EventMB to learn about trends? There is no point in focussing in 10 years from now. Your boss or attendees could not care less if everybody will wear VR glasses in 2020, it’s fun to think about that, but it makes no business sense. We are about fostering successful events, not about telling nice stories. Our trends materialize. At least some of them, please go back to our first presentation in 2010 – the outlook had items such as social context, mobile apps, RFID actions. We missed out on a few but we can comfortably say that we look at previous years editions with pride. 2016 is #backtotech. The first piece of news is that 2016 will be about event technology, more than ever before. As the eventtech market expands, VCs invest and attendees grow tired of usual concepts, more event professionals see a direct link between the use of technology and better engagement. We said that in July: 94% of event professionals will invest in technology to increase engagement at events. Therefore whether you like tech or not, it is time to deal with it. This is probably one of the best years to approach the subject for those who have refrained to do so in the past. Companies are much better equipped to support events and there is a better knowledge of how the event planning process works. Far from perfect of course, but definitely much better than 2 or 3 years ago.